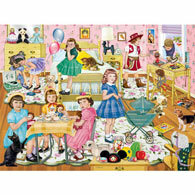 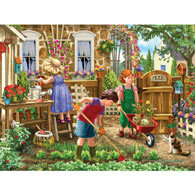 This 500-piece jigsaw is designed by Joseph Burgess and measures 18" x 24". 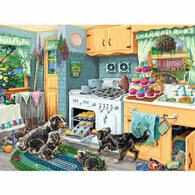 A batch of freshly-baked cupcakes may be in danger since they've gotten the attention of the kitchen's hounds. 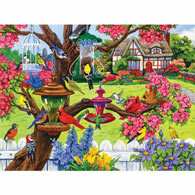 Available in two piece counts.